What if there was a proven path to success? A path supported by science and research? A path that led to your goals and aspirations in less time, with less risk? Would you take it? Brilliant!!! Truly an invaluable manual on living with meaning & purpose. The most profound, comprehensive and practical book on how-to live a meaningful and purposeful life. You could feel and sense the enthusiasm, the powerful expression & the authenticity of the author's intention via his own voice. True example of congruence of words and actions. No bluffs, or wishful thinking nor just great ideas! Thank you Matthew for writing & creating such a powerful masterpiece! Ordered paper book for keeping in my library. Recommending to all my friends n families. If you could sum up Life in Half a Second in three words, what would they be? and he provide facts and stunning statistics and how famous people benefit from it besides how it really impacted himself as well. Its very practical book how to even make your goals into 4 stages of milestone and give examples as well. What was one of the most memorable moments of Life in Half a Second? How Desire what make people achieve goals or no, its how much desire that make you achieve a goal when things get tough. and that many people go after goals that they don't actually have a desire. I know it might seem as simple idea, but he explain it in profound way, that made me question some of my goals. What does Matthew Michalewicz bring to the story that you wouldn’t experience if you just read the book? Overall I like this book. I think it provides a good framework for thinking about success at an individual perspective. However, some of what the author claims is wholly unsupported by research. For instance, he claims that telling other people your goals increases your commitment to them. This is true only for proximal goals, for goals that are immediately and quickly attainable, and not for longer term goals. Telling others your longer-term goals is a fast way to failure. 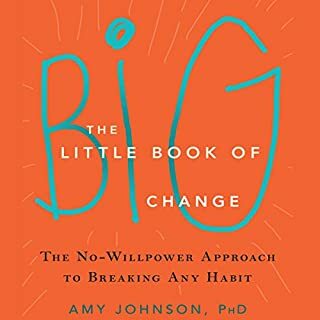 His insistence on visualization also has little to no support, and he completely glosses over the fact that habits control much of our lives independent of our desires (see Charles Duhigg) and that willpower is finite and can fail even when our desire may be strong(see Baumeister’s research). I am listening over and over. No other business book has distilled success so simply and elequantly. I'm so glad Matt put his ideas to paper and audio. I also heard Matt speak at a conference in Philadelphia and had the chance to speak with him in person. He is living proof of his concepts. He is the real deal. I highly recommend this book. Thanks Matt, you've made an enormous difference in my life that I can't even quantify. Leslie. This is a life changing read. For me, it was the spark that has helped me find clarity on what it is i want to do with my life. It has given me urgency to not waste any more time. My wife (who doesn't normally like either audio books, or the genre) listened with me as we jointly took in what Matt had to say, inspiring both of us to act. In particular, the book has both lessons from Matt's experiences, but also has practical tools that you can use to help you set your goals and achieve them. I love this book and the attitude of the author, especially the last two chapters. I got inspired by this amazing book. I plan to listen it again very soon. I love values based ways of living. This is that and so much more. Thanks for your effort and enthusiasm to put out this great piece of work! And I love your chat and interview at the end - what a great way to wrap it up! What did you like best about Life in Half a Second? What did you like least? The info was OK but delivered badly with nothing new and hardly 'scientific' as claimed. The methodology seems highly directed at being financially rich as a sign of success, which is clearly the desire of the author at the least (no doubt by selling this book). Would you be willing to try another book from Matthew Michalewicz? Why or why not? What didn’t you like about Matthew Michalewicz’s performance? Nothing. It was horrible and I wanted to turn it off... He may be authentic but he does not have the charisma to make you (or me at least) want to listen and in fact at points I found myself reaching to turn him off. 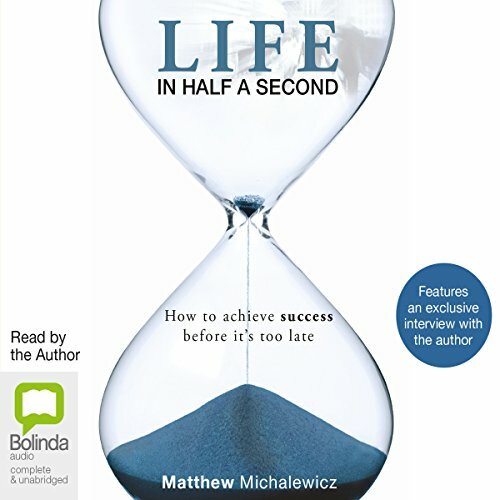 Do you think Life in Half a Second needs a follow-up book? Why or why not? Yes. Go look elsewhere to find the tools you need to succeed. Anthony Robbins springs to mind. Would you try another book written by Matthew Michalewicz or narrated by Matthew Michalewicz? No. It was very badly narrated and the ideas were essentially a rehash of other books. What was most disappointing about Matthew Michalewicz’s story? Who might you have cast as narrator instead of Matthew Michalewicz? Good question. Anthony Robbins. Stephen Fry. Could you see Life in Half a Second being made into a movie or a TV series? Who would the stars be? I think it will defiantly change my life! What did you like most about Life in Half a Second? The author conveys the content for which very well, it puts life in prospective. It's one one the most motivating books iv'e read. I was continually thinking how I could make changes, be better, achieve more, do more without compromising on life itself. Very interesting and motivating story that has changed my perception of life. 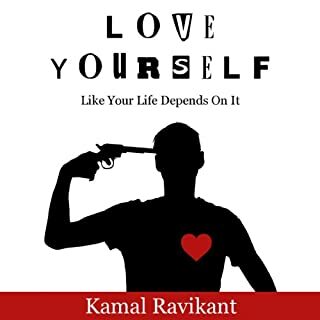 This is definitely one of the best books about self-esteem and putting life on the right track. Matthew is a great mentor and his book is a 'must read' if you want to achieve more in your life. Usually there is a single one element I can point in each great book I have read and say "this is the thing that change me, this one thing I will remember". 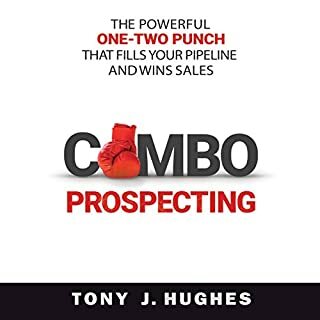 However with Life in Half a Second it is impossible for me to indicate only one concept - almost each chapter made me stop and digest, think, reflect or simply wait until goose bumps fade away. This is despite the fact I have travelled self development journey a long time now. It feels so great seeing yourself to pause the audio every so often and jumping into the action because what you hear is so so so inspiring. So I would class myself as a bit of a self help book junkie, I guess that I've been looking for guidance and perhaps the answers for a number of years. 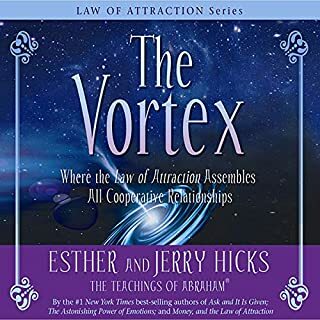 This is the first book that has really connected with me. Rather than looking at how many days you've lived looking at how many days you have left really changes your thought process and makes you immediately spring into action. I've developed and fully defined my goals and I'm looking forward to seeing the results. Yes for sure, and I nearly did!! Michalewicz has a very broken attitude and philosophy on life. I listened until the point I could take no more, which arrived when he states black youth, wearing gang colours, should own their reality, read more at the library, buy his book, move upstate, work at McDonald's and hang out with millionaires to receive instructive guidance on how to improve their wretchedness. This book is disgraceful, shambolic and patronizing. On a final note, writers should realize they *may* be talented scribes, yet terrible narrators. To write *and* read a book means the author is a) multi-talented at writing and narrating b) cheap and/or broke c) a self indulgent sociopath. Michalewicz gets two points out of three. Would you be willing to try another one of Matthew Michalewicz’s performances? 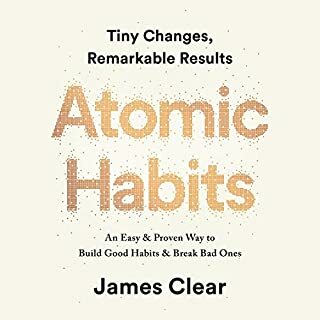 The best motivating book I've ever read or listened to. 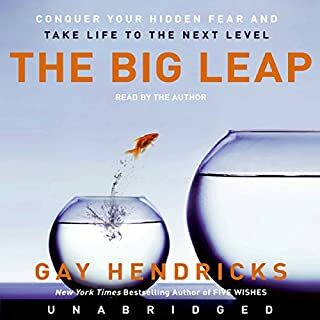 I only regret that found it now but not 20 years ago..
Life in half a second is definitely up there as one of the best motivational Audio book I've come across. Matthew's journey grips you from start to finish, he has implemented some science facts to make you understand your success in life . Never heard of him before, I'm pleased I'd purchased it. I cannot tell you how many times I’ve listened to this. Really great listen, I always feel motivated afterwards. Would highly recommend. The writing style is aggressively and unnecessarily poetic. It does not suit the content (which is otherwise brilliant). Just EPIC, this has to be one of the best! If your into personal growth and a budding entrepreneur, then stop and download this book NOW! What made the experience of listening to Life in Half a Second the most enjoyable? The content was based on science not fluff and although at first can seem re=hashed ie goal setting etc the work around this gives you man aha moments and moments where you just know what he is saying is true. The reality that no matter how much you push toward a goal without a sincere desire for that goal you wont be able to stick it out. Just being in the moment and being so present. I really also related to his stories of Arnie and his more macro look at the universe and life was very much like my own. Its for want of a better word the bible for business and success in general and the title reminds you of how important it is to move now on the most important goals in life. Not to waste your time on this earth. The first book I have ever reviewed because the first time I was so impressed with the whole book not just some parts of it. The entire story, the big message and the smallest actions the author is asking you to take. No smoke and mirrors just down to earth advice with a number of great real life examples. This guy is driven! The info is unique and I gained from this guy. Im glad I met him when he spoke for Key Person Of Influence, learning how to pitch for business from Matthew changed the game for me. Trying to start a new business, I was like a chook without it's head, jumping from one thing to another & having no step by step process, but after reading Michael's book & 'unpacking' my goal pyramid, I am much more organised than ever before. It certainly helped to unclutter the nutter in me - as this is how I felt prior to reading this book.